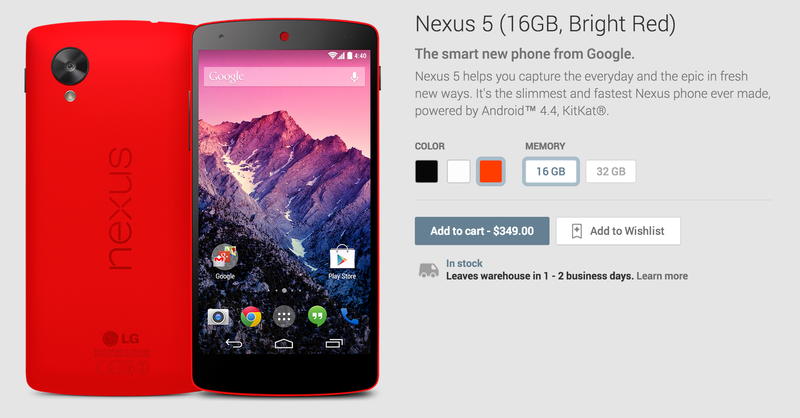 Google just released the red Nexus 5 for $349 (16GB) and for $399 (32GB). 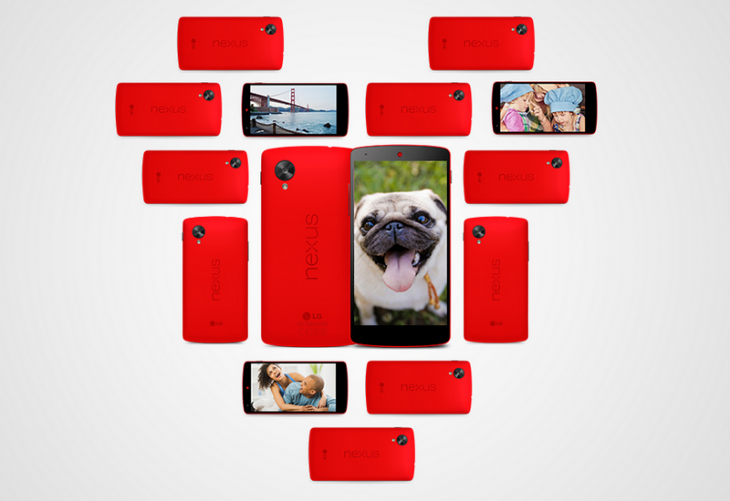 You can get it now on Google Play, just in time for Valentine’s Day. Some readers are reporting the device is still listed as “unavailable,” but that’s likely because it’s slowly trickling out. Pricing remains the same, as does the fact the device is unlocked. This is just a new color, accompanied by a contest.